Though Thanksgiving is upon us, important public business must be taken care of this week. But there are plenty of holiday activities in Maricopa. For details on the following events or to add your own, go to InMaricopa.com/Calendar. Youth Internship Committee meets at 5 p.m. in the Cotton Conference Room at City Hall. The committee will review the businesses and intern applicants for the Youth Internship Program. Maricopa Planning & Zoning Commission meets at 6 p.m. in council chambers to discuss the Maricopa Area Transportation Plan and the Edison Pointe commercial development. 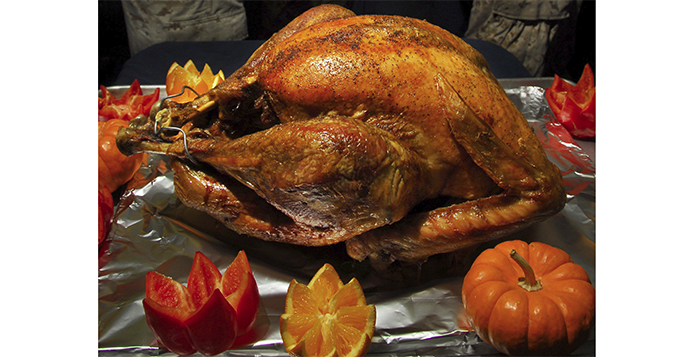 Thanksgiving Food Boxes will be distributed at F.O.R. Maricopa from noon to 2 p.m. Volunteers are welcome. Coffee with Friends of the Maricopa Library is at 1:30 p.m. at Maricopa Public Library. They meet every Tuesday for refreshments and conversation and to get acquainted with the library. Maricopa Youth Council meets at 6 p.m. in Multipurpose Room A at Copper Sky. Among other items on the agenda, the council will discuss Global Youth Service Day project ideas. The eighth annual Turkey Trot starts at 8 a.m. after registration at 7 a.m. There will be a 1 mile run/walk and a 5k run. Bring a canned food item to donate to the food bank. 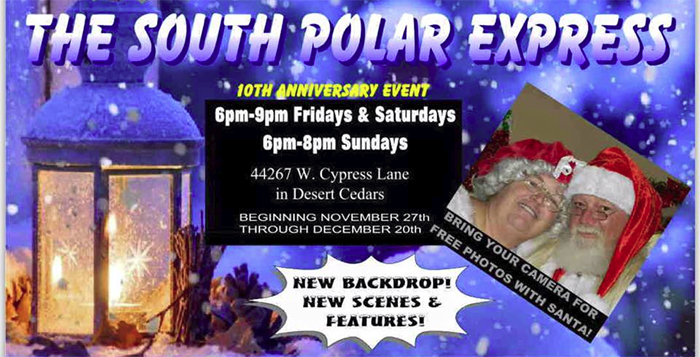 South Polar Express starts its runs Friday, Saturday and Sunday through Dec. 20 in Desert Cedars. Santa and Mrs. Claus have added new features for the 10th anniversary. Black Friday Holiday Shoppaganza starts at 10 a.m. at the Green Zone Nutrition with many vendors. They are collecting donations for Against Abuse Inc.